Tap 9 for 4-step darkness filter. 4th tap goes completely black for quick Theater Mode. Tap center to make hands temporarily disappear - Coding by ram mor. Tap 6 for dim options. Tap 4 oclock to refresh weather. Tap 3 for 24 HR time and 3 time zones set in wm settings. 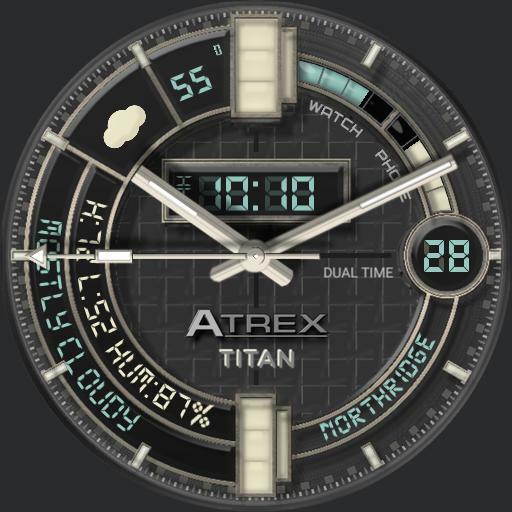 Shows current temperature, location, current conditions, watch and phone battery level.